The Castle Riding Hall is located on the premises of the Český Krumlov Castle near the baroque garden. It was built between 1744 and 1746 in the Viennese rococo style during the reign of Prince Joseph Adam of Schwarzenberg, who transformed his residence in Český Krumlov in the manner of the Viennese emperor’s court. The project was drawn up by Viennese architect Andreas Altomonte, who later became an engineer and theatre drawer based on the emperor’s court. The stucco ornaments are the work of sculptor Jan Antonín Zinner, a graduate of the Vienna Academy. The Castle Riding Hall is a unique historical building in the Czech lands. Nowadays it is used as a multipurpose space in which various social events are held. Different social events for up to 120 people may be held in these spaces. A cloakroom and a bar are available. 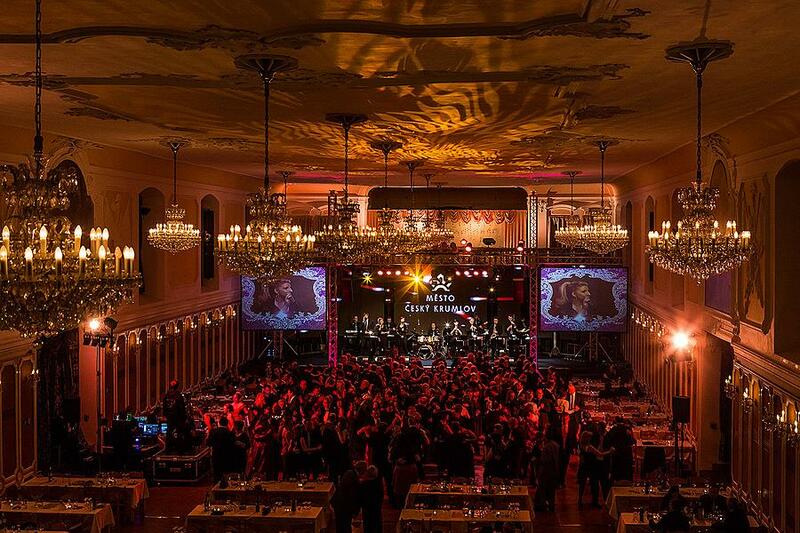 The hall of the Castle Riding Hall is suitable especially for bigger events – concerts, conferences, balls, wedding parties, receptions, exhibitions etc. The capacity is 700 people in a theatre arrangement, 400 people in a school arrangement, 600 people for receptions and 280 for banquets. 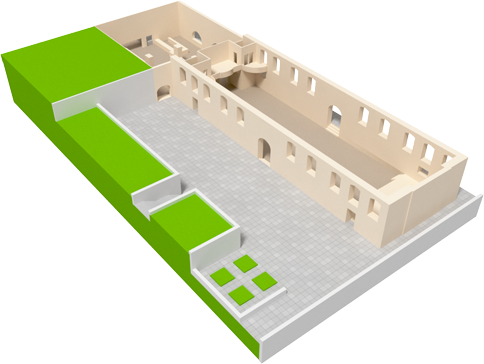 An event held in the hall may be connected with other spaces – the foyer, respirium or neighbouring parts of the Castle Garden. Four cloakrooms are available for performers. 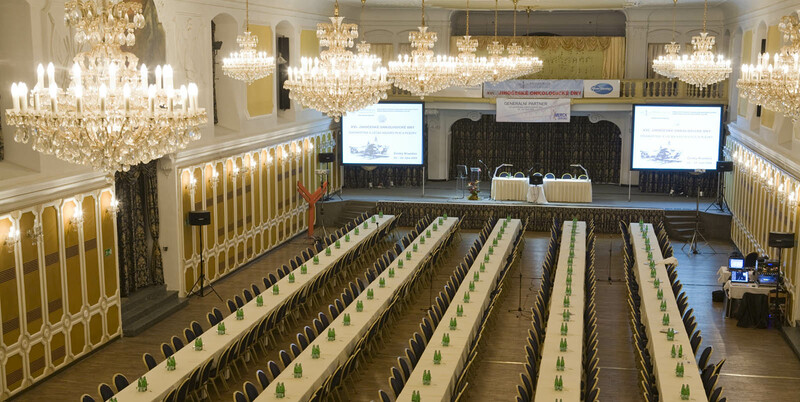 The hall is equipped with basic sound and lighting system installations. Wheelchair access may be organized by prior arrangement. Different forms of open-air social events and concerts may be held in the respirium. The spaces may be covered by a tent and easily connected with the hall. We will provide complete services for your event. 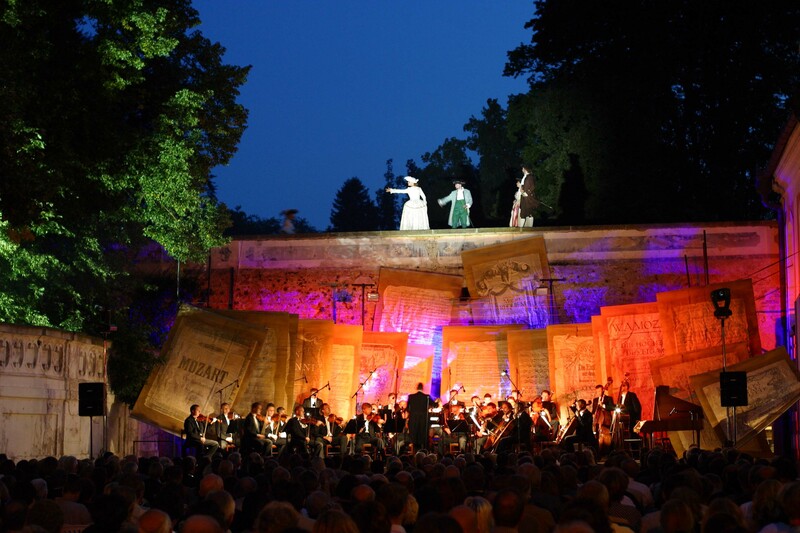 is an artistic, production and catering agency which has organized 24 years of the International Music Festival Český Krumlov since 1990, a number of international conferences, congresses, symposiums, company parties, balls and wedding receptions..
© Copyright 2015 Auviex, s. r. o.